For '03-'06 Scarabeo 500 OEM Parts Diagrams Click Here! 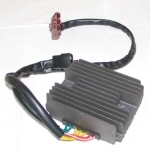 For ‘06-‘11 Scarabeo 500 Light OEM Parts Diagrams Click Here! For '01-'04 Atlantic 500 OEM Parts Diagrams Click Here! 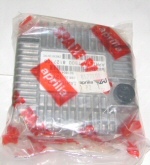 OEM Aprilia side stand switch, 854888 (ex AP8124977) (ex AP8124094), for '99-'05 RS50, '98-'03 Mille, Mille-R, '00-'03 Falco, '01-'04 Futura, '01-'07 CapoNord, '02-'05 Tuono, '03-'06 Scarabeo 500, and '01-'04 Atlantic 500. Complete Front Brake Pad Set for Atlantic 500. Includes both LH and RH brake pads. 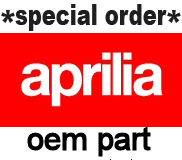 Genuine Aprilia Right hand mirror for '01-'04 Atlantic 500. Genuine Aprilia Left hand mirror for '01-'04 Atlantic 500. OEM Aprilia Brake Pads (Rear)-Pair - #8133726 (ex8133539) For 2003-2006 Scarabeo 500, 2001-2004 Atlantic 500, '06-'09 Scarabeo 500 Light. Genuine Aprilia brake lever for '99-'05 Scarabeo 125, 150, 200, and '01-'04 Atlantic 500.